Bringing up children is no child’s play. In the US, the wish to make the environment as safe for children as possible appears to deprive them of something invaluable, something characteristic of childhood that is intrinsic to it – adventures, risk-taking and playing freely which all children love. In Denmark, the situation is different: their playgrounds are risky – and full of fun. In Denmark, it’s just the opposite. Instead of trying to take all the fun from playing, they encourage their offspring to take risks and do whatever their little soul wishes, be it climbing high trees, using sharp knives to carve wood, or cycling full speed. It’s not that they are indifferent – no sir. It’s their approach to prioritizing the natural that comes into play when they plan playgrounds and take care of their kids. The reasoning behind employing a strategy that is so different to what is seen in the US and UK is that children should be, well, children. They are driven by the need to explore the world, to learn life skills, to feel what it is like to see the world upside down and find out how fires are built. 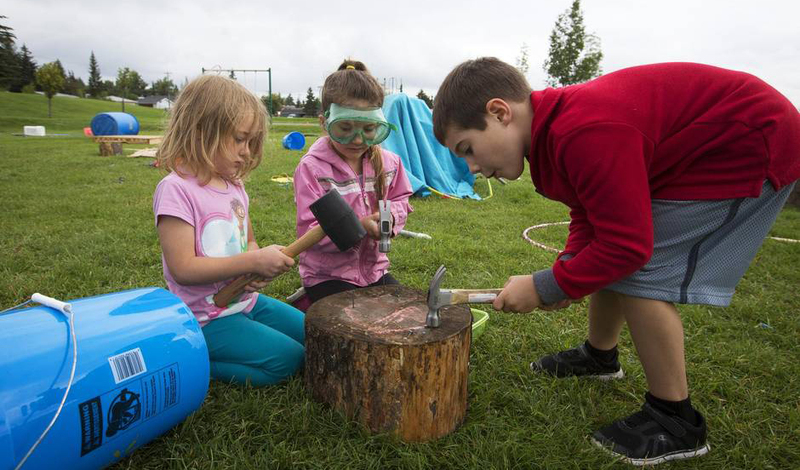 The Danes believe that fostering natural behavior of children, and that is actually playing, having fun and learning by trying their hand at things, is a much better way of education that making them study all the time. Academic learning in childhood is not approved of here – most people simply do not see any reason to substitute hide-and-seek with write-it-sleek. As they see it, kids can focus on education later, when their lust for games subsides, and prioritization of school readiness can take all the happiness out of childhood. 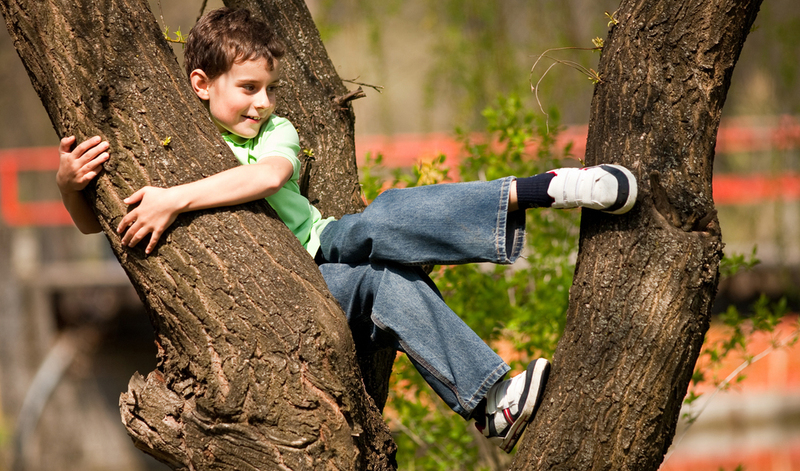 The notion of ‘natural’ in the Danish parenting methodology applies not only to encouragement of risky play. The way they design their playgrounds also reflects their wish to provide children with natural environment. Instead of using plastics, they prefer wood, water, fire, trees and whatever else can be used to amuse children and challenge them with something exciting. That is why there are axes for chopping instead of dolls. If you take a look at a Danish playground, you will not see any adults. However, children are not left to their own devices: nearly all playgrounds have supervisors who hide in special cabins in the corner of a playground and watch kids playing – ready to come to aid when necessary. Kindergartens also adhere to this country-wide strategy. That is why when your kid comes come with bruises, no one is going to sue its staff: why would they, if bruises are a normal part of playing? Falling is virtually inevitable if you are a small child exploring the world and its mechanics. Of course, no one wants serious injuries, so something as serous as a broken arm is considered too much. This approach has its advantages and shortcomings. Judging from how happy these children look, it is definitely superior to making environment for children supersafe and sterile. There are fun and adventures, they learn how to interact with others and with nature – how to live in the world without parents constantly helping them. 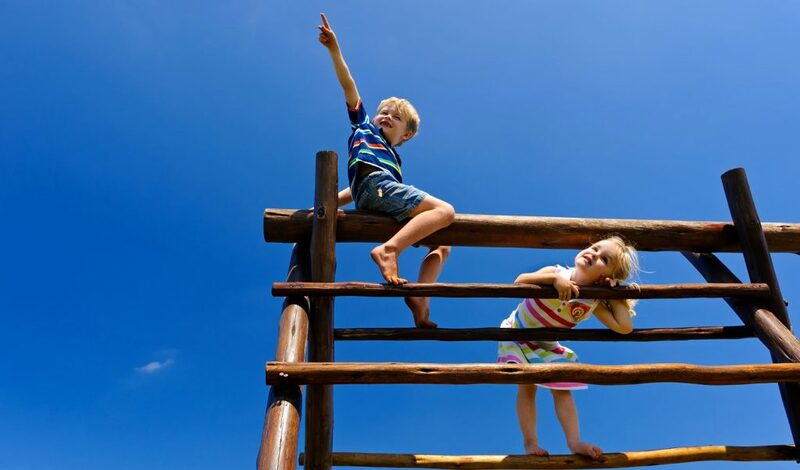 A study showed that risky playgrounds attract more children and even parents, which suggests they are more fun and thus can make them happier. However, there is evidence that academic performance is sacrificed – their international test results are mediocre, despite the fact that investments in it are huge. There are countries which spend less and show much better results, like Finland, for instance, but it does not discourage the Danes from prioritizing child happiness derived from fun. They are not alone in using such unconventional strategies. The need for making playgrounds riskier (to a reasonable extent) is voiced in many countries. Even grown-ups are concerned that education has become less satisfying emotionally – from Stanford to Yale, they organize courses aimed at making students happier. The jury is still out on what approach is better, but what remains undoubted is that teaching your child how to be a good person is always a priority.